Growing up Italian, we never measured our ingredients for making a salad dressing, we’d add oil, seasonings, vinegar, toss and serve, it was always just perfect. Today I still do those types of salads but find it just as easy to measure. 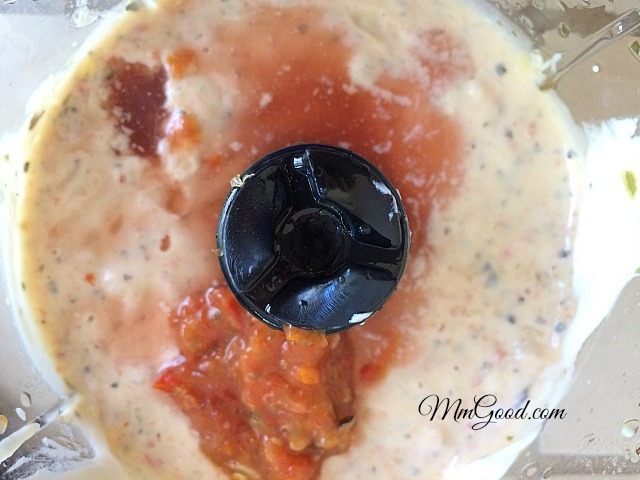 For creamy style salad dressing recipes, I wanted to experiment a little so I took some salsa that I made last week, homemade roasted tomato salsa and added some to a traditional creamy Italian dressing, it came out amazing! 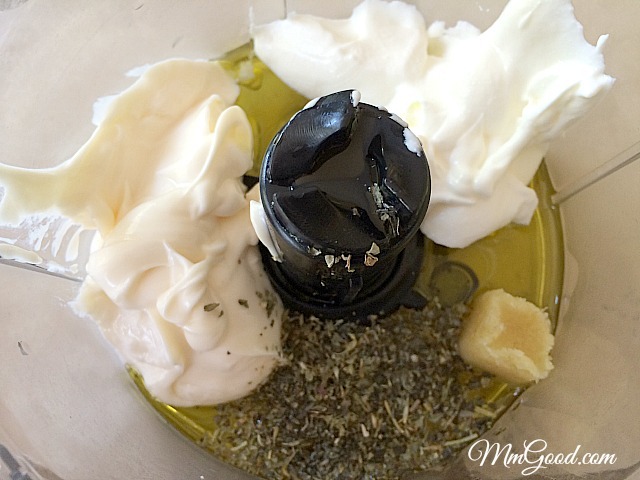 In a food processor, add mayonnaise, vinegar, sour cream, olive oil, garlic, Italian seasonings and salt. 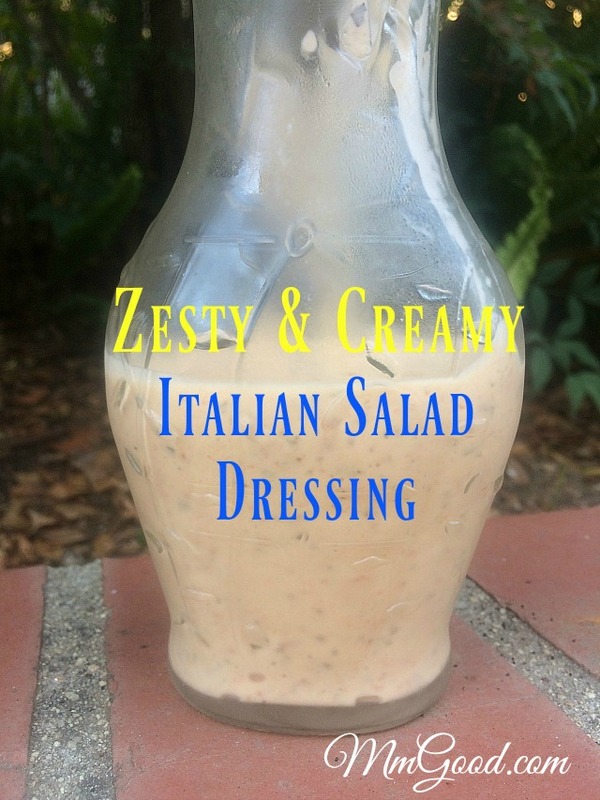 Puree, add the salsa of your choice, this is optional but it’s what makes this salad dressing “zesty”. See, even you can make a simple, yet delicious salad dressing. This is a great recipe to keep on hand, if you omit the salsa you can add Italian parsley, fresh of course, blend and serve it as a simple creamy Italian dressing. In a blender add mayonnaise, vinegar, sour cream, olive oil, Italian seasoning, garlic and salt. Blend until combined, add salsa, blend. Refrigerate for 2 hours prior to using, will keep in the refrigerator for 7-10 days once prepared. Enjoy!